Member of the Consultive Board, in charge of structuring and planning continuity of Ex-Alumni formation. As a Senior Consultant I deliver franchise consultation and brokering, providing, through a defined process, the right franchise for each person. Responsibilities include: customer prospecting, servicing consultation, matching candidates and franchises, walkthrough candidates over the brand selection process, educate candidates on franchising, and educating international franchisors on domestic market. As National Phoenix Program Director, I handle all program operations servicing all Mexican franchisees, through a virtual call center, reporting directly to VP of Marketing in Toronto and COO in Providence. Responsibilities include: Selection and Hiring of call center operators (now in Puebla, Atlixco, Guadalajara and Santiago de Chile), training and support for operators. Designing KPI´s and metrics to measure operators performance, managing day to day operations of the virtual call center from prospect reception and credit allocation to consultation delivery. Heads technology and production operations, project financing, corporate social responsibility, and partnership building for Mexico-based animated feature film/TV Production Company; controls budgets up to MX$21M. Acts as legal representative in partnership with CEO; manages international outsourcing contracts in Chile and Philippines. Attained MX$7.5M in funding for hardware/software investments from federal/state government technology foundation. Led design, financing, and production as executive producer for new feature films, Nikté (2009) in partnership with Universal Studios (“Best Animated Feature” and “Best Original Score” nominee as well as Juan Escopeta and El Americano projected for release in 2010. 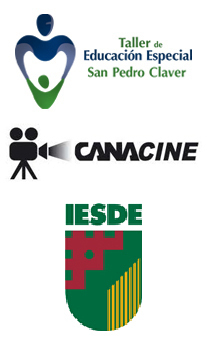 Forged strong industry and country alliances that resulted in winning Galardón PYME 2008 Award for “Best High Technology Incubated Company”; delivered first film in Mexico exhibited in DTS Digital and first film premier in DTS Digital in Latin America. Played key role in company’s infrastructure, facility, business, and technological expansion, increasing IT staff from 1 to 12 personnel as well as introducing new technologies and building partnerships for film financing. Directed IT and production operations, process design, budgeting, financial/cost analysis and scheduling for TV, and video projects including Maya: La Primer Gran Historia, Roncho El Perro Malapata (30 episodes), El Chavo del 8 (animated pilot), and Angelo & Develo (3 episodes). Provided design and implementation, including network/server setup and website development, to businesses in Mexico. Medical sales company specializing in ventilation and neumology equipment. A specially targeted course to address Directors, CXO´s, and decision makers to help them have the knowledge, wisdom and tools to create, develop and manage companies with 3 specific attributes: highly productive, deeply human and socially responsible. At the end of the program, the Executive will be able to rethink his own results and open new paths to achieve positive results in all areas of his company, through group work based on trust in his team and living leadership, accompanied by a permanent update. “This program is targeted to CEO´s and C-Suite Executives who, without being experts in advanced finances topics, require enhancing their knowledge and developing directive skills in this field." The main objective of the FED Program is to lead Directors to develop at a maximum their abilities to be able to have a full landscape of the financial solutions on their companies and know how to use them to achieve the highest value possible, sharing their knowledge with other directors with similar responsibilities. This program has a perfect balance between the theory concepts and practical cases applied on companies’ real life, so everything that is learned can be directly implemented on all organizations. For more than 10 years I have been around technology, investigating, using and buying. I have been CTO for the biggest animation studio in México and have installed, deplyed, administrated and used first class and first in type equipment. Very fast learner in terms of Technology. I have been in charge of several animation production, including 2 major feature films, and rise them up from ground zero to release. Also have been in charge of several projects for Non-Profit Organizations. Largest Project Managed: Animated Feature Film "Nikte", duration: 26 months. Senior Executivecreating pioneering solutions for growth, technological advancement, and change via strong analytical approach and business/financial acumen. 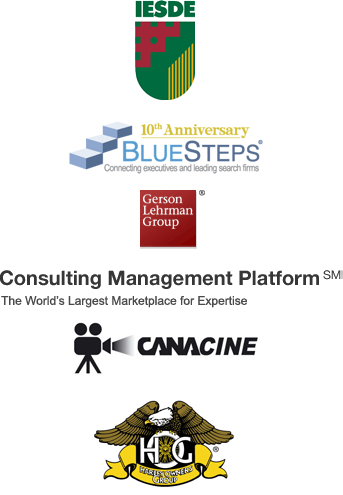 Establishes peak-performing organizations, combining expertise in operations/IT management, animated film/TV production, and long-term partnership building to expand resources, gain funding, and deliver optimal value. Breaking the “Independent Consultant” paradigm and created a supporting Consultant network with all Mexican Consultants, allowing the collaborative work needed to lower costs and increase business volume. Creation and Management of the first Virtual Call Center in the world, managing day to day operations, staffing of operators. Launched and led computer-generated imagery (CGI) and visual effects department, decreasing background/scenery development 30% and creating 100% reusable scenes; restructured and on-boarded staff, building modernized corporate culture. Strong leadership capabilities directing as Executive Producer, a 7 Area Director team, 2 fellow Producers and 60+ people indirectly, also outsourced operations in Chile and Philippines. As CGI Manager, 7 creative personnel and 2 IT staff as CTO. Negotiated first roll-out of 3-D animation/modeling capabilities (Blade WS) in Latin America, attaining MX$7.5M in federal/state funding and landing sponsorship with HP Mexico for movie promotion; documented as successful HP case study. Gained MX$43M in federal/State funding for long-term, three-film production project, developing/presenting proposal to attain buy-in and communicate investment needs; presentation adopted by CEO, resulting in MX$37M additional project funding. Surfaced and increased company’s market-wide presence, establishing training alliances with six universities including ITESM; joined business, civil, and educational groups, delivering lectures and presentations concerning funding, technology, filmmaking at conventions including DIGIT V5.0, Expo TI, and Congreso Nacional Creanimax. Innovation Leadercapitalizing on market and technological progress to create competitiveness and brand awareness. Garnered MX$16M in funding as well as completed efforts one month ahead of time and 8% below budget, premiering first animated movie at Mexico’s largest film festival, Festival Internacional de Morelia. Secured critical partnership with Canadian software producer (Toon Boom) to acquire academy award-winning production software, Harmony, positioning film as first fully animated, 100% paperless feature film in Mexico; established company as first Mexican and largest Toon Boom Harmony facility in Latin America. Lowered 35% of animation production time, decreased staffing needs 40%, and cut 95% of companywide paper consumption. My interests are simple, as I see them. I´m interested in Animation Industry, Finances, Project Development and Management, Concept Design, Business Planing and Management, Technology.